One of our traditional Victoria Timber Greenhouses was recently installed for a customer based in Loughton, Essex. 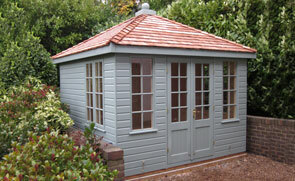 Selected from our range of stunning wooden garden buildings, the Greenhouse is available in a range of sizes with this one measuring 2.4 x 3.0m. The building was also then delivered and assembled at the customer’s specified delivery address by our in-house installations team. 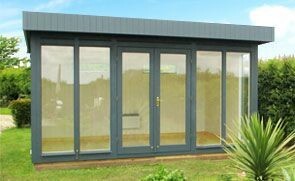 One of our Langham Garden Studios was recently installed for a customer in Colchester, Essex, who thought it would make the perfect work-from-home office. Measuring 3.0 x 4.2m, the studio is completely handcrafted from FSC® certified timber and has an apex roof covered with attractive composite tiles. 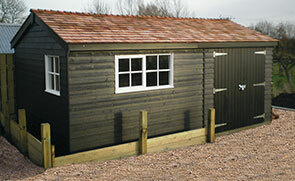 This attractive Superior Shed was recently installed for a customer based in Clacton-on-Sea, Essex. 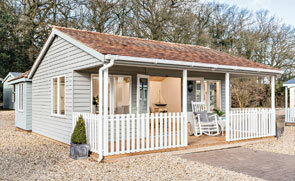 Measuring 2.4 x 4.2m, the shed has an apex roof with a slight overhang on the gable end, overhanging the double opening doors. This National Trust Blickling Garden Shed has been built to store equipment and farm tools. It was delivered and installed as part of our comprehensive service.